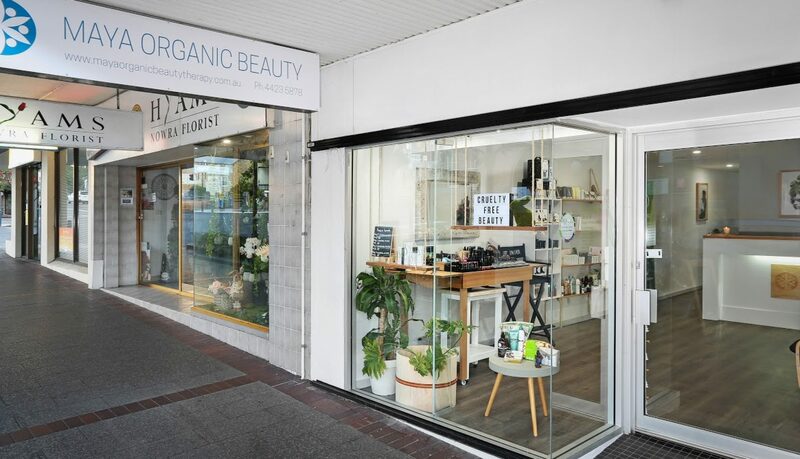 Welcome to MAYA Organic Beauty Therapy, a boutique beauty salon catering to the organic conscious client located in the heart of Nowra on Junction Street. We offer a delicious menu of organic treatments to have you feeling relaxed from the moment you arrive; with blissful facials to painless as possible waxing or sugaring, we offer a wide range or certified organic Australian made products that are cruelty free and contain no chemical nasties. MAYA has three beautiful treatment rooms along with a double pedicure station and double manicure area, all treatments will leave you feeling comfortable, relaxed and in safe hands. We also have the ability to create a couples room to enjoy a treatment with your special someone. At Maya we also have medical grade IPL for Skin Rejuvenation, Pigmentation & Wrinkle Treatments along with vascular therapy. Our IPL Super Hair Removal machine will give you permanent hair reduction results in as little as 6-10 treatments. We cater for all age group and also are wheelchair accessible. We offer all treatments for women and men. Skin Juice – All Naturally derived ingredients made in Australia designed to feed your skin. MAYA Organic beauty Therapy is open on Monday through to Saturday (early on Wednesday and Friday mornings and late on Wednesday & Thursday Nights) appointments are preferred although walk ins are also available. Why not pop in and try one of MAYA’s famous facials, waxing treatments or even an organic microhydrabrasion skin treatment. Contact MAYA for an appointment today or book yourself online via our contact us page.